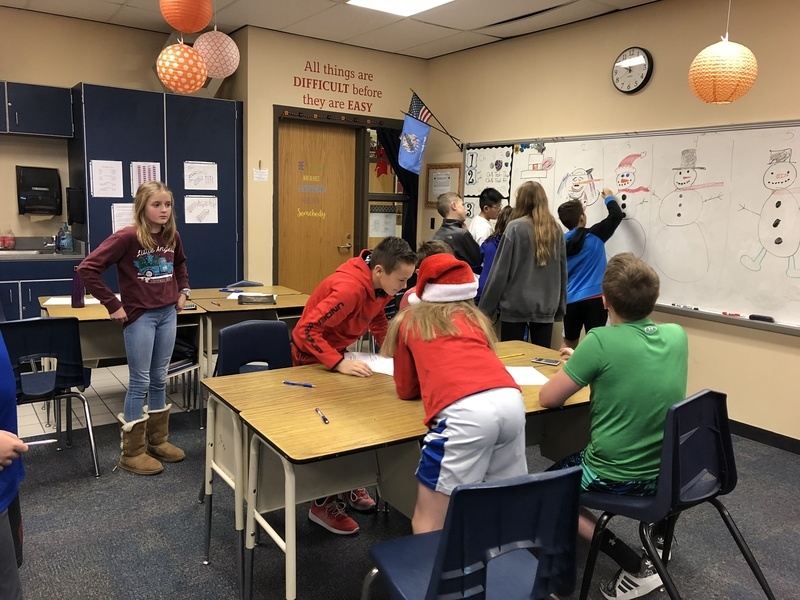 It's delightful in Mrs. Gilliam's math class! For test review, students worked in groups to answer review questions. 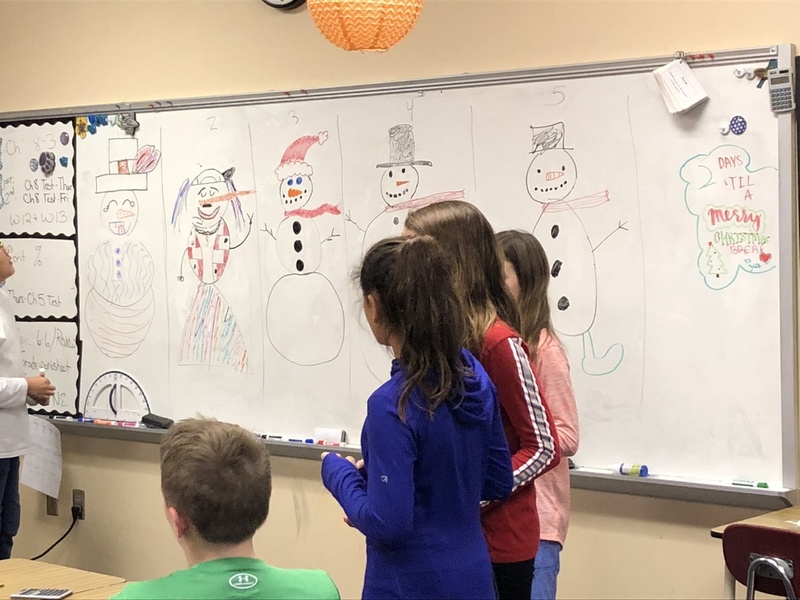 When a set of questions were completed, they could draw a part of the snowman. The first group to complete their snowman was the winner. 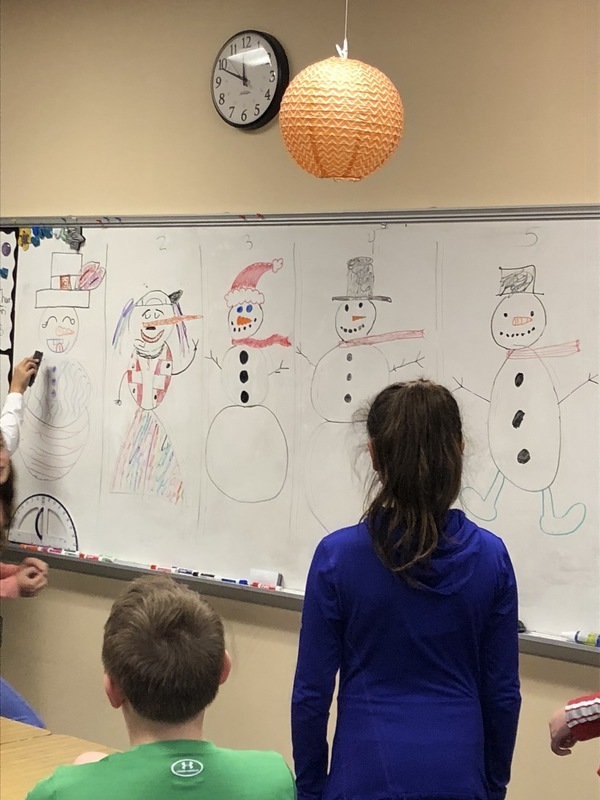 At the end, the class voted for the best snowman for a prize.